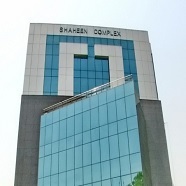 Shaheen Complex is located in between Egerton and Abbot Road at the center of Lahore. This area is hub of business activities. Mega centers like L.D.A plaza, Lahore Stock Exchange and WAPDA House are across Egerton Road. 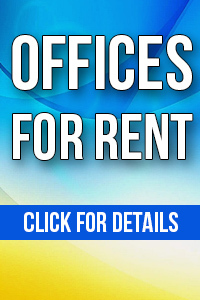 Major Airline offices are located at walking distance. Total rentable area of 9 floors excluding 2 basements is 210,000 Sq.Ft. On the average each floor is spread over 33,000 sq.ft with net rentable area of 24,000 sq.ft. Size of the offices varies between 755 to 5780 sq.ft. Top class marble finish of work areas alongwith two beautiful sky lights provides additional architectural touch. The entire building is fitted with glass. Air Conditioning, Fire Control System, Smart Wiring, CCTV System, Alternate Power Supply (Generation) and Broadband Internet Services are available round the clock. The Complex is open and spacious with clean surrounding and total corporate culture. The Building is ideal for both National and Multi-National companies specially related to I.T and telecom Sector.